Add balance to living room decor and room to hold smaller, widely used items with a set of new Amish Craftsmen Large End Tables with Drawers. 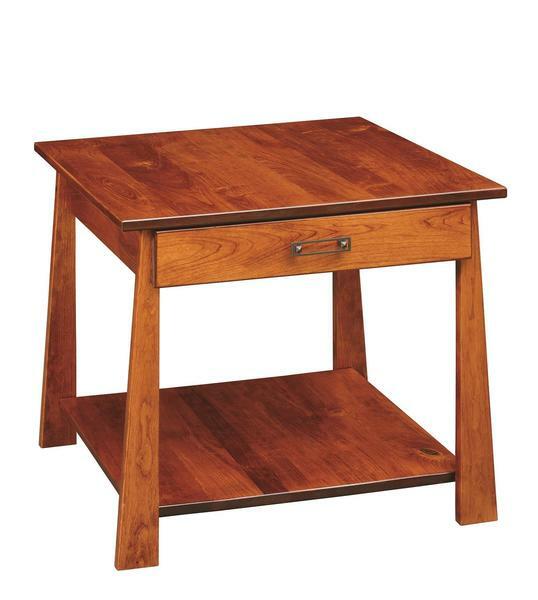 The flared legs really draw attention to these solid wood tables that feature a lower shelf and handy drawer. If you'd like assistance choosing a wood type or finish color, our Amish Furniture Specialists are here to help you. Email or call us today and thank you for shopping DutchCrafters.